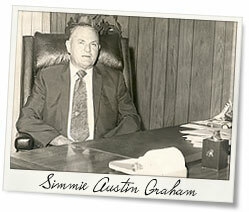 In 1953, Mr. Simmie Austin Graham entered the construction industry with one bulldozer. His first projects consisted of building fish ponds and terraces. Mr.Graham then joined Mr. Walter Bass and formed S.A. Graham Company and became incorporated in 1954. After incorporation, S.A. Graham Company began working on road construction projects as well as other projects consisting of sewage lagoons, airport road improvements, and landfill improvements. Ms. Polly Graham began working with S.A. Graham Company in 1963. She was working while her husband, Mr. Rayvon Graham, was finishing up college. Rayvon had been working with the company during summers and during school holidays. In 1966, Mr. Rayvon Graham graduated from Troy State University and began working fulltime with S.A. Graham Company. In 1969, Mr. S.A. Graham dissolved the partnership with Mr. Walter Bass. 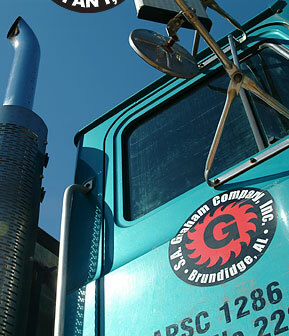 Within the next year, S.A. Graham Company had established its own shop and office on Highway 231 in the heart of Brundidge, Alabama. In 1993, we were all deeply saddened by the loss our founding father, Mr. S.A. Graham. After Mr. S.A. Graham’s departure, Rayvon Graham took over as President of S.A. Graham Company. Along with help from his wife, Polly Graham, he was able to lead the company into the 21st century with relative ease. In late 2003, Rayvon Graham was given the opportunity to sell the company to four investors. After much thought and consideration, Mr. Graham decided to sell S.A. Graham Company on December 16, 2003. The new company officers include Mr. Randal C. Hall, Mr. Doug Blankenship, Mr. D’Arsey Stewart, and Mr. Shadron A. Graham. In 2004, we celebrated our 50th anniversary of being in business. We rejoice in that history and heritage and look forward to being in the construction industry for another 50 years. In 2011, the company underwent significant changes and Randal C. Hall became the sole owner of S.A. Graham Co., Inc. He plans to positively continue the history and heritage of the company.